Effective keyword research lies at the heart of any successful online marketing campaign. When it comes to completing your keyword research, there’s no right or wrong way. Ideally, you should search for keywords that numerous people are using during their searches and at the same time used by a relatively low number of your competitors. Keywords are more than words—they’re a valuable marketing asset. By researching your market’s keyword demand, you can not only learn which terms and phrases to target but also learn more about your customers along the way. In the past, marketing professionals relied on Google’s Keyword Planner for much of their keyword research however, it no longer offers the accurate volume data desired. This has created a need for alternative keyword research solutions. Google Trends is one of the top and most versatile tools available for keyword research. Many marketers, webmasters, and other business professionals are using it to understand their customers better. You can compare up to five search terms or groupings at one time. Try the tool yourself and see search interest on a specific topic or search term over time, where it’s most-searched, or what else people search for relating to it. If you had to use only one tool to select keywords for your marketing campaign, Google Trends should be it. Google Trends brings a “story-centric” homepage, where it aggregates data and ranks the most searched for stories. This is by far the most comprehensive trend aggregate. Simply navigate to Google Trends and you’ll see the dashboard with a list of trending stories. If you click on a trending story you will be shown related articles, interest over time, interest by sub-region, trending queries and related topics. If your business relates to any of the topics listed this would be a great opportunity for content creation – posting a piece on a widely trending topic could help drive traffic to your website. Google Trends offers real-time data which allows you to evaluate search trends during different times, days or during major events. By watching rises in search terms, you can quickly determine what topics are grabbing people’s interest and adapt your marketing efforts accordingly. If you click explore in depth (located beside each topic) you will be shown interest over time, interest by sub-region and related topics and queries. Most online marketing professionals already know the Google Keyword Planner is made for advertising but falls short when it comes to keyword research for organic traffic. While Google Trends initially only showed large general trends it now contains more accurate data sets and is much more useful for keyword research. After typing in a term, you can see trends behind the usage of keywords and then drill down further by sub-region, metro or even city. This can help you better understand the behaviour of searches in the area and the terminology they are using and of course other related topics. If you’re going to create content that’s optimized, it’s helpful to know what people are searching for. Google Trends allows you to see how popular a keyword has been, not just today, but over a decade. While website analytics can provide good data for keyword selection, Google Trends can give you excellent information about keywords you might not have considered before. If you haven’t been using this tool for Search Engine Optimization or Keyword Research, you should check it out. Generate new keyword suggestions, get an overview on volume, seasonality and cost per click data with Ubersuggest. To make things even better they added a filtering tool so you can find the right words for your business. Additional features include data on keyword difficulty and competitive intelligence. With the introduction of Google Knowledge Graph answering your customer’s questions has never been more important to your online success. Answer the Public is valued for finding appropriate questions you can answer for your target audience. Simply enter your keyword and receive graphics that provide a glance at the top questions, clustered by question word and by the proposition. Find out what your customers are searching for with this Keyword Tool. Get up to 750 Google Autocomplete suggestions presented in an easy-to-understand interface. Additional features can be unlocked for a monthly fee. There are additional tools available for data on YouTube, Bing, Amazon and eBay. We urge anyone looking to increase the quality and quantity of their website traffic to experiment with a variety of keyword research tools regularly. 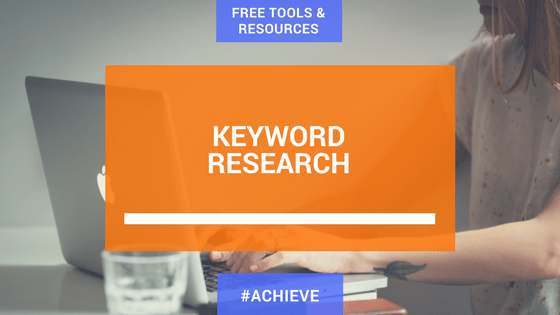 It is also equally important to remember that Keyword Research is not onetime only activity but an on-going key part of your online marketing efforts.